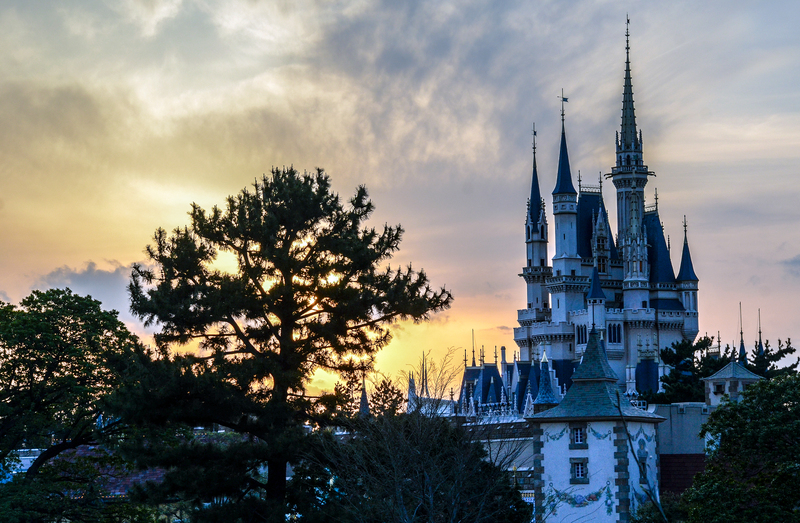 The Disney Parks, both American and foreign, are seeing more expansions and changes than they have in nearly two decades. Almost every resort is seeing a major expansion over the next five years, many of which are multifaceted. With all of these projects and expansions, things get a little hard to keep track of. With many people wanting to book vacations, knowing when these projects finish up is a useful tool. That’s why we have this blog post! I’m going to go through each Disney Resort and give an estimated opening date for each major project. Some of the smaller projects will be left off but feel free to ask questions about anything that you don’t see in the post (or anything you do see in the post!) There is also a chance that I will have left something off this list so drop me a comment if I have. Each project will include a brief description of what is going on. I’m going to stay away from rumors for the most part, sticking to what Disney actually has announced. I will try to keep the post updated every year, adding whatever is announced along the way. We’ll go resort by resort, starting in Disneyland. One of Disneyland’s largest expansions ever will open this summer and will include two new attractions, a restaurant, and be a fully immersive Star Wars themed land. Disney officially announced a May 31st, 2019 opening date that came with a few caveats. Super Hero Land (DCA) – 2020? Super Hero Land, which will reside where A Bug’s Land currently is, will feature Marvel attractions. While I put 2020 down in the dates, I think the land will open in tiers and probably won’t be finished until 2021 or 2022. Details are scarce at this point but I think a few thrill attractions will be added to the land. Disney has announced that Mickey & Minnie’s Runaway Railway (unfortunately, no announcement on a shorter name) will be coming to Disneyland’s Toontown. The same attraction will be opening at Hollywood Studios in 2020 before coming to Disneyland 2 years later. 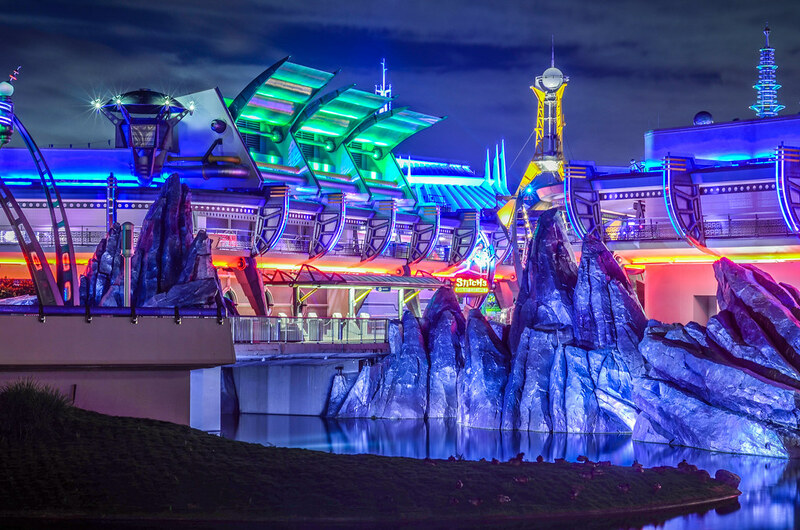 Tomorrowland Refresh (MK) – Now through 2021? Tomorrowland is slowly going through a refresh in terms of aesthetic and attraction refurbishments. The land is receiving a paint job and could end up with a refresh of the PeopleMover, Carousel of Progress, Tomorrowland Speedway and something going in the Stitch’s Great Escape building. While I doubt anyone is actually booking a trip based on these changes, I do think they are essential to Magic Kingdom. This new gondola system will be the latest transportation option in Disney World going between several resorts, Epcot, and Hollywood Studios. Even though Disney has said fall, I expect an opening this summer. Illuminations: Reflections of Earth will come to an end in the summer of 2019 and this show will be the temporary replacement. Epcot Forever will celebrate the history of the park and will run for about a year. A dark ride based on Mickey and Minnie Mouse that is replacing The Great Movie Ride. 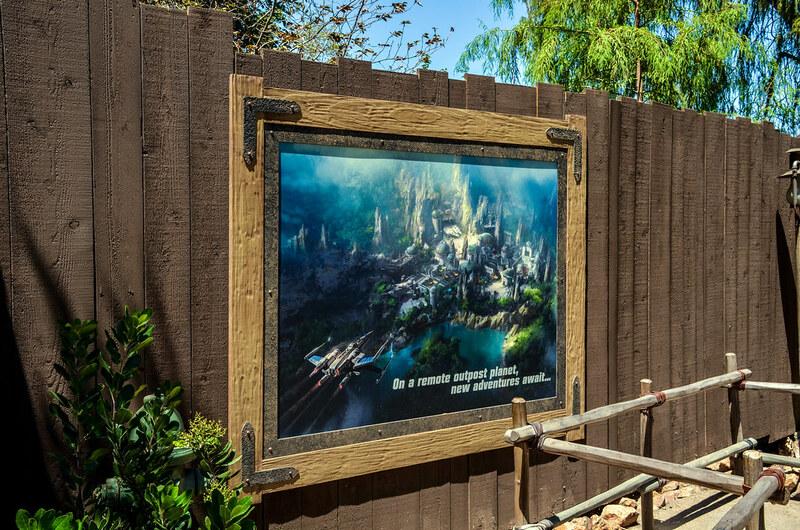 While no season is announced for the opening, I would expect it to open before Star Wars: Galaxy’s Edge. Unfortunately, the opening date for this attraction has been pushed back to Spring 2020. A new restaurant in between Mission: Space and Test Track will be themed to outer space. While the 2019 date isn’t confirmed, a few posts say this, specifically the forums on WDW Magic. The same thing Disneyland is getting, an immersive Star Wars Land, but this one will open a few months later. This new DVC hotel will be opening in 2019. The Riviera is near the Caribbean Beach Resort. This attraction in the France Pavilion is a replica of Disneyland Paris attraction, a trackless dark ride. I would guess a late spring, early summer 2020 opening. The new show will replace Epcot Forever and will celebrate Disney music around the globe. The Epcot Play Pavilion will house characters and interactive exhibits for the whole family to explore. The new pavilion will reside in Future World and will likely be Epcot’s largest integration of Disney characters ever. Star Wars Hotel – 2021? The immersive Star Wars Hotel will pair along with Galaxy’s Edge but will open later. We don’t have an exact opening date but would guess 2021. 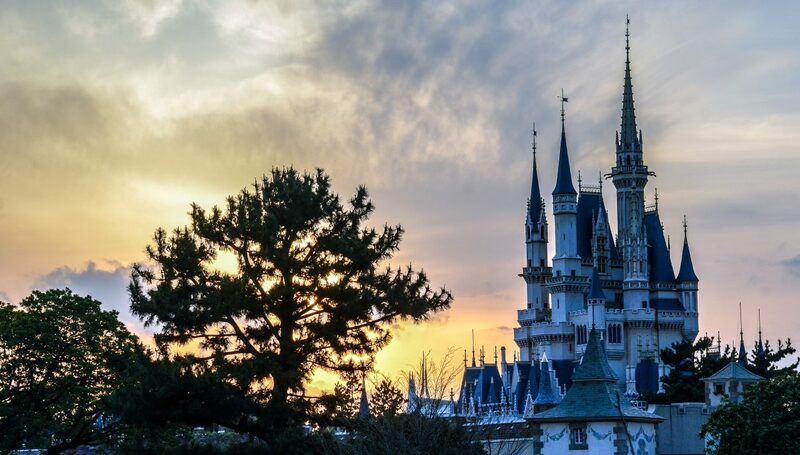 The Play Pavilion will open in time for Disney World’s 50th anniversary and could possibly sneak into a 2020 opening date. The coaster is taking the place of Ellen’s Energy Adventure and will be indoors. The story will be based around Guardians of the Galaxy, specifically Peter Quill. Magic Kingdom’s newest roller coaster is slated to open by 2021 for the resort’s 50th anniversary. This will be a replica, although maybe not exact, of Shanghai Disneyland’s attraction. A new hotel will be added to Disney’s DVC program, inspired by Walt Disney’s love of nature. This hotel will reside on the old River Country site and isn’t expected to open until 2022. Announced at the 2017 D23 Expo, Epcot will see its entrance redesigned. The central spine of Epcot will look much different in the next five years. 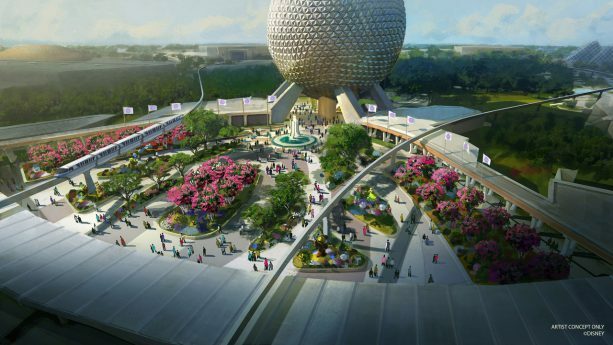 They have released concept of the new entrance and it looks like it will pay homage to Epcot’s original entrance. This project now will likely include a Spaceship Earth lengthy refurbishment and the tear down of Innoventions. Soaring: Fantastic Flight will be opening at Tokyo DisneySea on July 23, 2019 in the Mediterranean Harbor. This version of Soaring will feature at least one new scene and is themed to a flight museum. Song of Mirage is a stage show that features Disney characters. It is replacing Out of Shadowland in Lost River Delta. Beauty and the Beast will go in Fantasyland, Minnie’s will be in ToonTown and Big Hero 6 in Tomorrowland. These will all be attractions of some kind with Beauty and the Beast attraction being a dark ride and possibly being the most expensive attraction of all-time. This will open in 2020 before Japan hosts the summer Olympics. 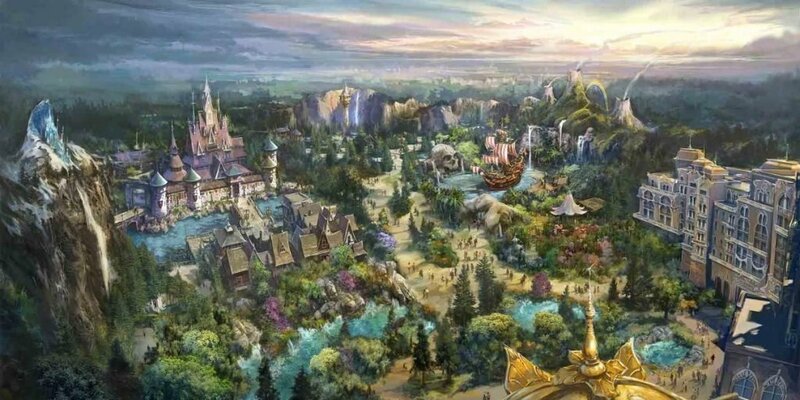 DisneySea is opening a fantasy port in the back of DisneySea that will be the biggest expansion in park history. The new port will feature Frozen, Tangled and Peter Pan and will add four new attractions plus restaurants and a lavish hotel. The remodeled castle and hub will be done in 2020, transforming Sleeping Beauty Castle into the Landmark Castle that will have 13 towers. 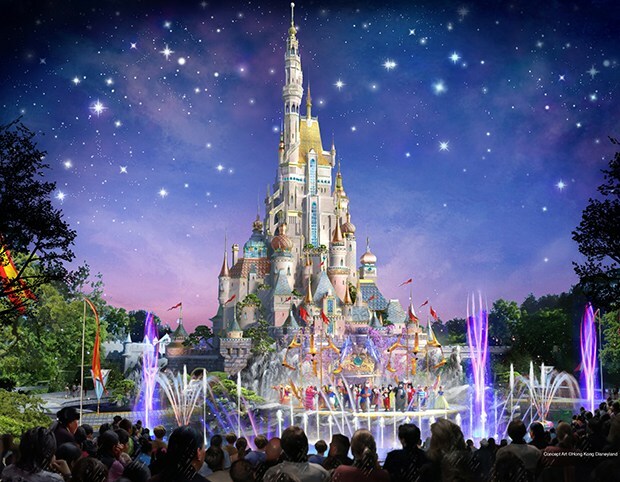 Hong Kong Disneyland will recreate the world of Arendelle with an ice palace and two new attractions, a roller coaster and boat ride. There will also be restaurants in this new expansion. Another Marvel attraction is slated to be opened in 2023, finishing off Hong Kong Disneyland’s expansion plans. More details will come. 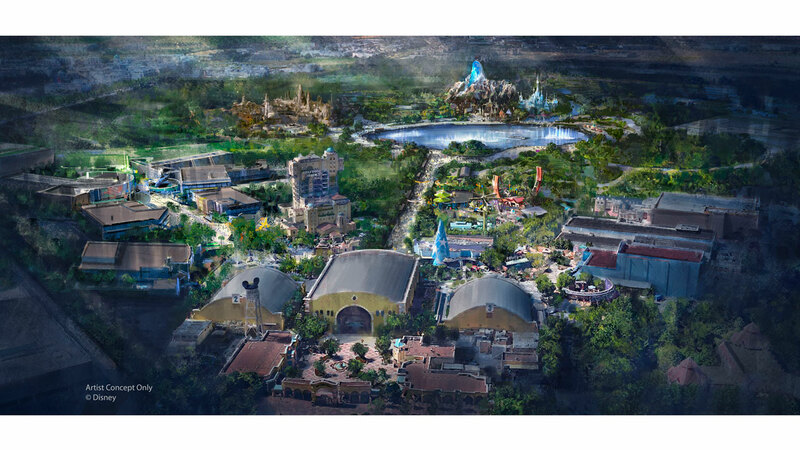 Disney has announced Shanghai Disneyland’s first major expansion (not counting Toy Story Land which was already under construction when the park opened) in a Zootopia themed expansion. While no opening target has publicly been announced, construction is slated to begin later this year. This sounds as if it is a truncated version of the Broadway Lion King show in a brand new theatre in Disneyland Paris. Another live musical show that will feature Jungle Book characters among others. There aren’t many details yet but I don’t expect it to be as elaborate as the Lion King show listed above. A rethemed coaster as well as a new show and attraction are slated to come to this new land that is kicking of the Studios Park expansions. The Studios Park is getting an expansion and makeover but it will take some time. Frozen and Star Wars Land are coming but not for at least 5 years. That is all of the major announcements Disney has come out with for the next five (or so) years. Much like my life, Disney’s five-year plans hardly ever stick to schedule so don’t take this as gospel, although we will try to update periodically and after big announcements. Again, if I’ve missed something please let me know in the comments and if you have questions about a certain item on the list then let me know! Thank you for reading Wandering in Disney. Please subscribe to the blog and like our social media pages, all of which you can do on the right side of the page. Have a wonderful day!